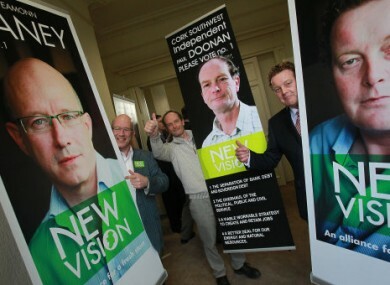 YESTERDAY THE REFORM of the public service was on the Election 2011 agenda; the day before it was political reform. Today, however, is another… well, day. Now that we’re midway through the first full week of campaigning, the parties have gone their separate ways in launching policies. Leaving aside the banks issue – although not entirely – each party has started delving into other, less visited, policies. Using a quote from, er, their leader Eamon Gilmore, the party says “education is the great liberator”. This morning, the Labour education spokesperson Ruairi Quinn said that the party wanted to put in place a strategy to raise literacy standards in Ireland. He said that one in three students in disadvantaged schools is illiterate and that one in ten primary school students overall – 50,000 of them – have “serious literacy difficulties”. Quinn claimed that the keystone of their policy was not “money or fancy equipment” but just required that “we teach literacy better”. Fine Gael took a hit in his speech – he claimed their reduction of the number of public service jobs would impact on the number of teachers available to children. Sinn Fein were launching their proposals for community safety and anti-crime measures. Aengus O Snodaigh, the justice spokesman for the party, claimed that there had been “too little effort” put in to target crime in the community. The party says “prevention” is the priority for any incoming government. They envisage that becoming possible with increased numbers of gardai on the beat and a building of relationships between gardai and the community. The party also calls “comprehensive and credible” the introduction of programmes to divert young people away from drugs, crime and anti-social behaviour. The Green Party were focusing on social welfare rates. They promised that there would be no reduction in benefits under their public finance plans. Dan Boyle, the Greens’ spokesperson on finance, claimed Fine Gael and Labour’s budgetary numbers “simply do not add up”. In particular, he said, Labour were either “cynics or fools” for saying they can knock €2bn off the target for adjustment by 2014. The Greens vow not to increase income taxes, not to reduce social welfare rates and to makes an €1bn investment “retrofitting and pubic (sic) transport infrastructure”. Fianna Fail were led from the front this morning. Leader Micheal Martin launched their strategy for “creating jobs through tourism and the arts”. The party’s express aim is to increase visitor number to 8 million by 2015 – this, they claim, would create 15,000 tourism-related jobs. “Competitive” airport and port charges, “competitive and tourist-friendly” immigration and visas, e-marketing, access to credit for tourism businesses and linking in tourism and culture to attract visitors are key to getting people here, he said. The Culture Ireland brand and extending the Film Investment relief to 2016 would be key to getting culture vultures in. Oh yes, and there was much talk of ‘The Gathering 2012′ – “a major initiative to encourage people of Irish heritage from all over the world to visit Ireland in 2012″. Fine Gael, on the other hand, were focused less on those who might come to Ireland than those who have been forced to leave it. Leo Varadker and Fergus O’Dowd were on hand to tackle “the scourge of forced emigration“. The party claims it will provide opportunities for the 100,000 forecast to emigrate in the next two years so that they won’t have to leave. This will be achieved by schemes such as 23,000 new internships for unemployed new graduates, 17,000 second-chance education places for former retail and construction workers and a “completely overhauled FAS” that is to target training the over 25s. Email “Tourism, literacy, crime, emigration, social welfare: A day of party policies”. Feedback on “Tourism, literacy, crime, emigration, social welfare: A day of party policies”.